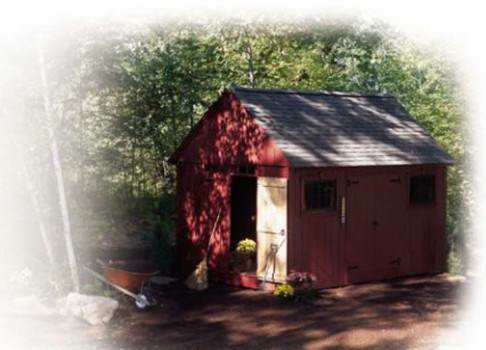 Use free shed plans to add value to your home and gain additional storage space. Build a small shed for lawn tools and sports equipment or a spacious combination workroom and storage barn that can be customized to blend with your homes architectural style. 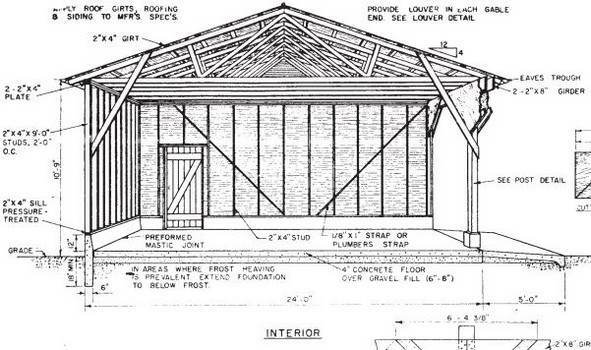 Most shed plans come with materials list, drawings and hints for doing the job right. Use common tools and durable weather resistant materials to build a shed that will last for years. Another unique design uses wood pallets to build an inexpensive and easy-to-build shed that is eco-friendly, using recycled wood. 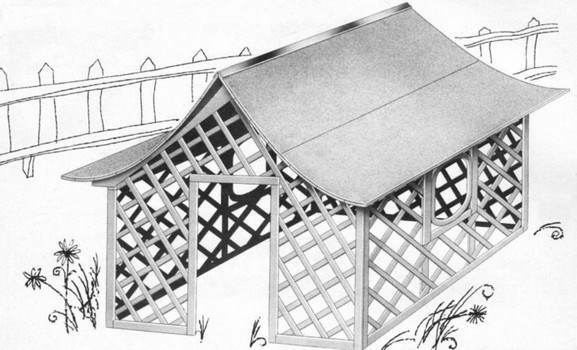 There are projects for carports, playhouses and pole barns in many styles. A simple lean-to shed can be attached to a garage to store firewood or gardening tools, while a latticework summerhouse adds attractive space for entertaining and casual dining. 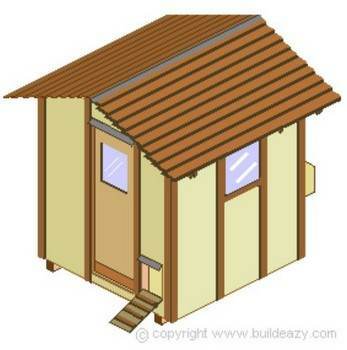 Also visit the Garden Sheds pages and the Lean-To Sheds page. 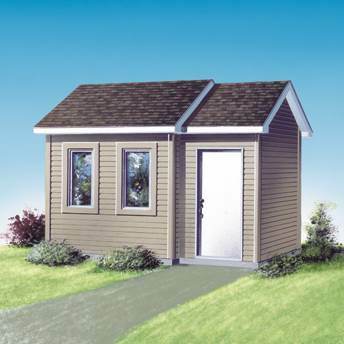 This attractive basic shed has plywood siding, a shingled roof, back and front windows and plenty of storage space. 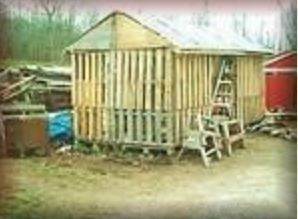 How to build a shed very inexpensively, totally out of used pallets. This is an easy to build colonial style storage shed with double doors and plenty of storage space. This mini pole-barn shed is designed with doors on each end. Build a shed! Here is a shed that can fit neatly in the backyard and is built on skids for easy moving when needed. 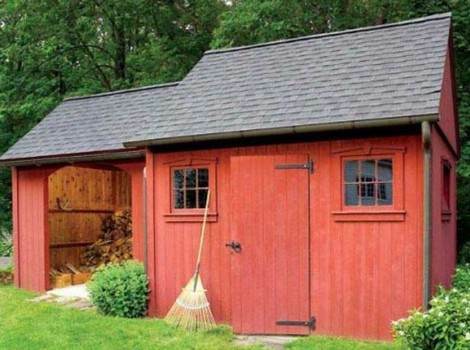 This handsome storage shed is actually two connected buildings. 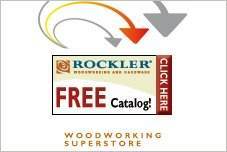 One building stores firewood, and the other stores general lawn and garden items. 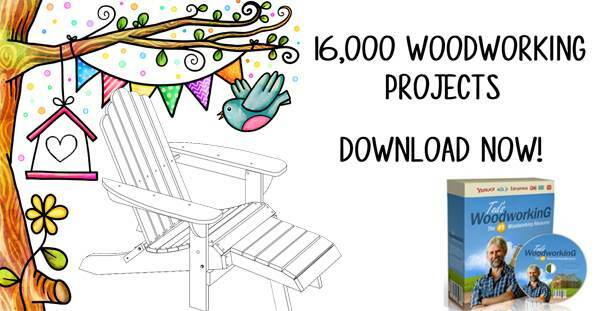 Build a chicken coop or storage unit using this easy to follow plan. 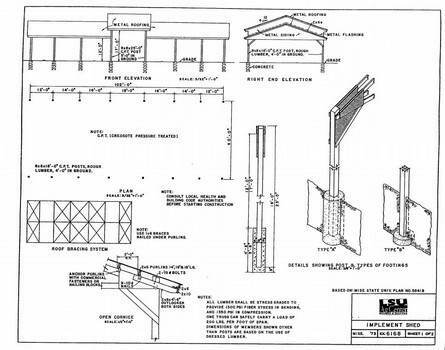 Shed plans from the Department of Agriculture - 24'x64' utility buildings. 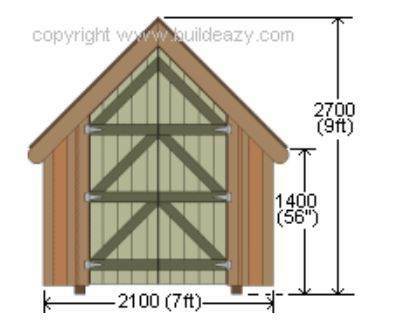 Build this board and batten shed for a strong and sturdy structure to store your lawn items in. 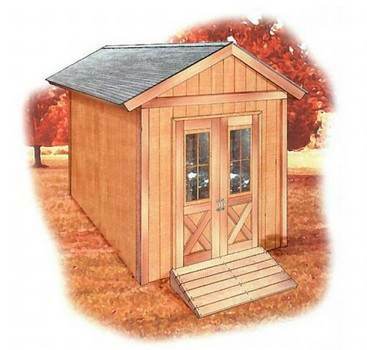 Download free shed plans for an easy to build 8 x 10 ft storage unit. 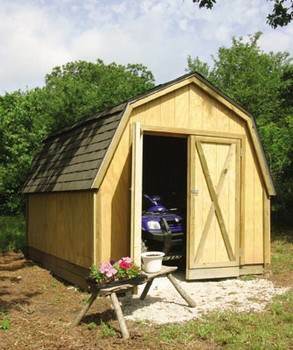 Build a 40 ft. X 102 ft. open-sided implement shed for storage. 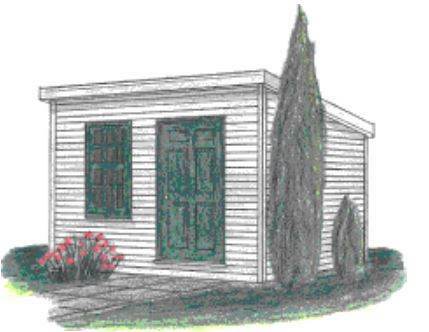 This project is for a simple storage shed that is easy to build with the right materials. 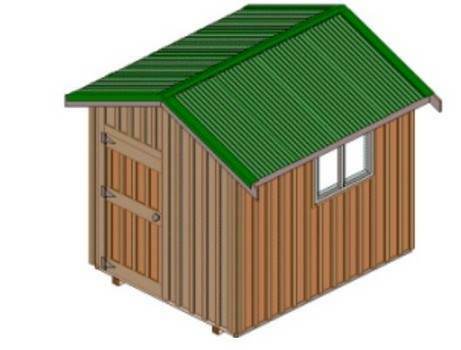 Free shed plans for a storage with a solid roof. The walls are built using lattice work.